Contains broccoli, alfalfa and radish for a kick. Fast and easy to grow and oh so healthy! Fresh seeds with a fantastic germination rate. 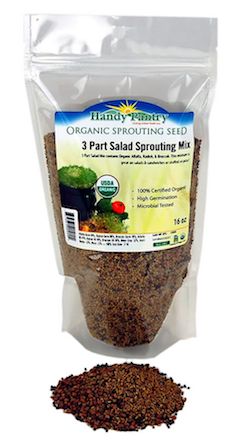 Ingredients: certified organic alfalfa, broccoli and radish sprouting seeds.